Tavira along with Lagos is one of the most architecturally attractive towns in the Algarve and its origin seems to date back to around 2.000 BC. In about the 7th Century BC the inhabitants of this area prior to the arrival of the Phoenicians were the fabled Tartessus that were possibly of a Celtic origin. The location was of considerable importance during the Roman period and a large area of some 45 hectares to the east of the present position of Tavira is being excavated on which there is evidence of a very large Roman settlement. 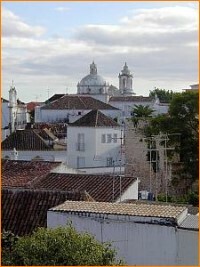 During the occupation of the Algarve by the Moors this town was given considered importance due to its fishing industry. Dom Paio Peres Correia took the town from the Moors in anger in 1242 after seven of his principal Knights were killed during a period of supposed truce. During the 17th Century the port in its river was of was shipping produce such as salt, dried fish and wine. Like most of the Algarve towns, mainly all the major buildings including its castle were virtually destroyed by the earthquake of 1755. The town has since been rebuilt with many fine 18th Century buildings along with its 37 churches - in fact it is referred to as the town of churches! 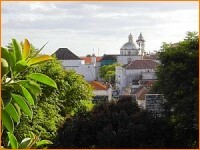 The town church of Misericórdia dates back to 1541 and Palácio de Galeria is a location of historical interest besies being a cultural centre. 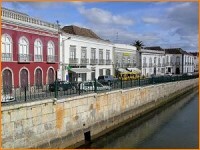 A Roman bridge links the two parts of the town across the River Gilão. 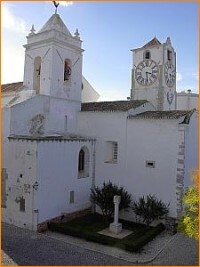 The church of Santa Maria do Castelo is built on the site of a Mosque and in it are the tombs of Dom Paio Peres Correia and his seven faithful Knights. Its original economic reliance on the fishing industry has now been surpassed due to the change in the migration patterns of the tuna fish. The population are mainly involved in the servicing a military base whilst the surrounding area is still very rural and undeveloped. This is now changing due to the demands of the tourist industry and opening of golf courses in the near vicinity. The immediate beach for this town lies past the salt pans and is reached by a ferryboat that takes the visitor to the long attractive sandy-bar island known as Ilha de Tavira. 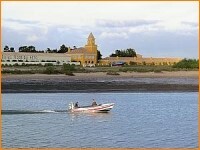 Near to Tavira is the areas Cabanas and Pedras del Rey, both originally very small beachfront villages. 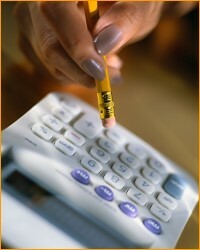 Tourism has now become the main source of income for many of the fishermen as there fishing has declined. It is in the latter place that there exists an olive tree that is said to date from the 17th Century and probably the oldest one of its type in Portugal. It stands 7.70 metres high and its girth is 11.80 metres. In the small village of Luz de Tavira there is one of the finest examples of Manueline art and craftsmanship around the southern door of the Parish Church. Santa Luzia is a very small un-spoilt village with a fort and has its name from an Italian effigy of the Virgin Mary that was recovered from a shipwrecked. Near to the Torre de Aves there are the remains of a Roman villa. To the east of Tavira and overlooking the sea can be found the original traditional village of Cacela-a-Velha used by the Phoenicians and later becoming the possession of the Knights of Santiago in 1240.